N6bn recovered by EFCC belongs to Niger State – Gov Bello – Royal Times of Nigeria. Gov. 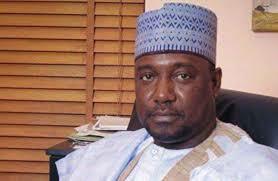 Abubakar Bello of Niger on Friday said that the N6 billion discovered by the Economic and Financial Crimes Commission (EFCC) as proceeds of crime were stolen from Niger State Government account. The governor made this known to newsmen after joining President Muhammadu Buhari and hundreds of other Muslim faithful to perform the 2-raka’at Juma’at prayer, at the Aso Rock Mosque, Abuja. The EFCC uncovered two bank accounts containing N2 billion suspected to be the proceeds of crime. Mr Wilson Uwujaren, EFCC spokesman, said the money which belonged to a former deputy governorship candidate in Niger State, was discovered following a tip-off by a whistle-blower. The governor, however, disclosed that an additional N2 billion had been uncovered by the EFCC from the same source, bringing the total amount of the discovery funds to N6 billion. According to Bello, the funds are believed to have been siphoned by the suspects through inflated Hajj subsidies offered by the state government to Pilgrims within the periods he (suspect) served as the Chairman of the Niger State Pilgrims’ Agency. The governor, who commended the EFCC for its efforts in recovering stolen funds, expressed the hope that the recovered N6 billion would be transferred to the state’s accounts to enable his administration embark on developmental projects.